I think a symptom of being a writer is having vivid dreams. Perhaps it’s more a symptom of having an imagination, all I know is I have always had surreal dreams. I know people who have had dreams that replicate daily life almost completely. I am not one of those people. My dreams are more like a Dali painting! Which is why I knew I needed to use this as a writespiration, I do so love a Dali! Dormiveglia is one of those words that can’t be translated into English, I used a welsh word recently Hiraeth as another inspiration. 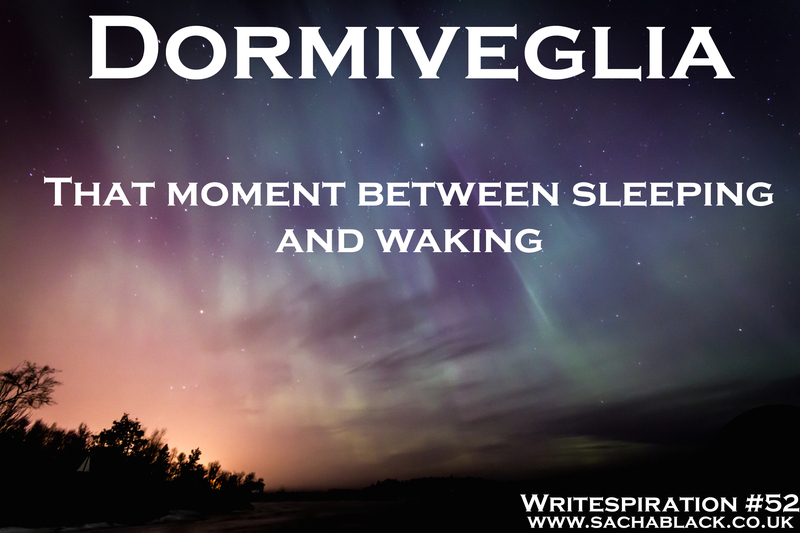 Dormiveglia is an Italian word and it means the moment between wakefulness and sleep, or sleep and wakefulness. I heard somewhere that this is where Dali drew his inspiration. He would sit in a reclined arm chair with two marbles in his hand. When his hand relaxed just as he fell into sleep his hand would relax and the marbles fall to the floor. Waking him and allowing him to record the oddities his mind gave him during his Dormiveglia. I’d wandered the streets of Tamel in the bustling centre of Kathmandu for weeks. I’d only fallen in love like this once before. New York; with its endless nights filled with caffeine, cocktails and electric excitement. This was different, I was in love for a different reason. The city was calling me, daring me to stay with it, explore it, be one with it. I just didn’t know why yet, and that longing for an answer left a hole in my chest deeper than any I had experienced. I turned into a narrow street and meandered along it soaking up the aroma of incense of. Shops were crammed into every corner and barely big enough to squeeze their goods and a single person inside. Dream catchers, brightly woven fabrics and a menagerie of trinkets dangled from the awnings. It was alive; crawling with colour, whatnots and saturated with the muggy heat of pre-monsoon weather. “Namaste,” a old Nepali woman with grey hair and orange coloured clothes smiled at me with open hands. She gestured me inside her shop. I smiled back, but moved on. I’d learnt the hard way, if you got drawn into their shop you would have to buy something. It sounded Italian, not Nepalese. I frowned and hurried over to look at the shop. A peculiar sweet scent tinged with whiff of something burnt wafted through the open door. I put my fingers on the handle. It was cold. Strange given the heat of the day. I pushed the door open and climbed the stairs. It opened out into an enormous room. It was dark. Candles potted around the room. A small ceramic bowl with herbs and wooden sticks was burning in the centre. Wisps of smoke drifted through the air and behind the smoke sat an old man. His face was so mangled I staggered back and drew a sharp intake of breath. One eye was fogged over and its lid scarred. The scar spilt onto his cheek fell right the way down his face massacring his lips as it went. He smiled a gummy grin at me and beckoned me forward. I could taste the smell of burning now it was so strong. He beckoned again. I wasn’t sure. He nodded and laid his palm on the floor in front of the bowl. As shocked as I was over his appearance a tiny stirring of comfort filtered through my stomach. I sat down. “Dormiveglia?” he said in a low husk. He put his hand up to stop me. Nodded a few times and took my hand. His hand was cold like the door handle. I yawned, blinked and found myself lying down on the floor. “What happened?” I said feeling sluggish and sitting up. I frowned and touched my chest. I rubbed my chest a few more times searching for the hole that had lived in my ribcage since I had got to Nepal. But it was gone. I staggered down the stairs reeling with confusion, uncomfortable with the lack of memories. I opened the door. Bright light haloed the figure of a tall man. I stepped round him to get a better look. “Umm, hi,” I said blushing. He smiled and a warm sensation filled my chest. I’d found what I was looking for. Fifteen years we’d been together. A decade and a half during which we’d been inseparable. It was well known in the area that when you see Ron (that’s me), Patsy would be with him. Patsy didn’t travel well. She suffered terribly from motion sickness, so we never went anywhere by car. Sea journeys were out of the question, and we never even thought about flying. We had everything we needed within easy walking distance, so why would we need motorised transport? Our relationship hadn’t always been a bed of roses. 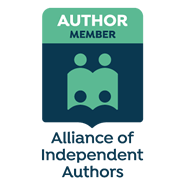 When we started out together, she was fiercely independent and refused to settle in to my way of doing things, the lifestyle I had followed for years. Her fiery Irish temperament and my laid-back Devon mentality seemed incompatible. Eventually, though, with a lot of patience and tolerance on both sides, we found compromises. She had as much freedom as she needed and I had the level of stability and control that my particular foibles demanded. In fifteen years, she had never been unfaithful to me, nor I to her. We were a pair. On the very rare occasions I had to go away on business; I can only recall three times; I had a friend come and stay in the house with her to keep her company. I knew how much she hated to be alone, especially at night. My work as a freelance writer and editor meant that I could be at home with her most days; not that she was clingy, she did her own thing around the house. She never seemed to be short of something to do. She would always stop whatever she was doing to join me for lunch, and we always tried to take a walk together after lunch; kept both of us relatively fit. One afternoon in the middle of winter, she didn’t want to come out with me; she was content to rest on her favourite chair. The following morning, I persuaded her to trudge through the snow to the surgery, so we could find out if there was something amiss with her; something that needed medication. It was the worst news possible; the tests showed inoperable cancer in the base of her stomach. That was the last time I saw Patsy. The vet pumped the pink liquid into her veins, and my faithful old Irish Wolfhound slipped peacefully into that great kennel in the sky. The last time I cried, it was for you. For 20 months I’ve relied on others to move me around, dress me, feed me. I’ve screamed but no one heard, I’ve cried but no tears have come. And then my prayer was answered; a miracle cure, a way out from inside myself. A blink, a smile, ancient wasted muscles screaming back to life. The last time I needed help to care for myself, I was handed a key to a flat; my own home. That was the last time people visited, the last time I had a conversation with some one who cared for me, the last time I felt wanted, loved. It was the last time I felt free; now my body is free but I am trapped. The last time you knocked me to the ground, kicked me in the stomach, hauled me to my feet with both your hands around my throat, and took from me that which I was not willing to give, that last time was special. It was not only the last time, but a time of many firsts. The first time I ever stood up to you, the first time I ever fought back. You weren’t expecting it, and the surprise in your eyes as the knife bit deep was delicious, a memory I will long savour. How easy it was, in the end, yet I had endured so long. Watching you writhe in agony, awash with your own blood, was the first time I enjoyed another’s suffering. It was the first time you said sorry. And also the last. The last time you drew breath was the first time I witnessed death, the first and last time I took a life. I walked out the door for the last time, and for the first time, I felt free. Wow! i loved all of the entries. Your dormiveglia was amazing, and all of the “last times” were so different, but equally well done. Thank you Michelle, makes my day to know that you liked the piece :D.
Me too Debbie, its so unusual – I love words that aren’t translatable. I prided myself on my ability to sleep; colleagues, under less stress than me lost countless hours to tossing and turning, saying they only fell asleep moments before an alarm. Me, I took at most a minute and then it was six, seven or eight hours solid. While they struggled I soared. But you live life by the second; you don’t spot the incremental changes: the occasional early morning trip to the bathroom; the waking up before the alarm; the sense that, just there, in those moments before you are awake there’s something, someone, watching, waiting. The first time, the first nightmare shocks. But you have a trigger, something that tells you it’s a not real and you wake, sweating, exhausted, too early but incapable of sleep. Nights pass and nothing and then another incident: a nightmare with hollow-eyed strangers. You wake but it’s even more real, the memories linger all morning. You try and find the link, the catalyst: the cheese, the late night caffeine, the pot. But you can’t find it. So you try and stop going to sleep; if you can make yourself really tired, then you’ll sleep through until the alarm. It works. For a while. But they notice at work; someone says something about performance and reviews and younger people. Medication, acupuncture, hypnotherapy, you try it. But the dreams grow and grip. So eventually you stop going to bed, you walk when you should sleep, and you take naps between assignments. Then one night, late, by the river, you stop and lean on the balustrade. You think… A hand pulls you back, a voice tells you to think again but you don’t want help. You pull away, climb over the guard rail and turn. You’ll tell him you’re serious. But as your gaze meets his, as you notice how familiar he is, how he has hollowed out eyes, he puts a hand on your chest and pushes and you slip slowly and silently into the river of sleep, knowing that this time, there will be no waking. Ooooh Geoffle, that gave me shivers! You are such a versatile writer. Ali is right, you really are versatile. This is fantastic. Very creepy and haunting. I loved its dark and twisty ending. Geesh you ladies know how to flatter. Hi Sacha, here is my entry for this week. Some nights, I just can’t sleep. Some mornings, I can’t wake. But mostly, I find myself sinking between the cracks of day and night, or night and day, falling, endlessly falling deep into a world beyond imagining. To say I’m dreaming is an insult. I’m not asleep, I’m fully conscious, and yet… it’s a state of perception hovering just beyond grasp in the here and now. Still, I hear, see, smell, touch and taste just as I do when I’m with you. Only, it’s… more. When I am there, I am more alive. There are people there. They look like you and me. Actually, that’s not true. Everything about them is more; taller, slimmer, more powerful, more graceful, more beautiful. They know stuff we can’t guess at, do stuff we can’t comprehend. Pitiful insect that I am, they welcome me… imagine that, if you can. They tell me one day I can stay, when this dormiveglia stretches into my infinity. That day has not yet claimed me, but it will come, as surely as light follows darkness, and while I wait, I fill my consciousness with you, and for now, for here, that is enough.